Celin is one of the moons being added in 3.0. The giant space-sim is getting its next big update on June 29 which will include, among a litany of other stuff, the ability for players to take their ships out into space and dock on of a handful of moons. The addition of this new “Planetary Tech” will help expand what players can do in Star Citizen and offer a glimpse of the planetary exploration that’s currently being worked on. 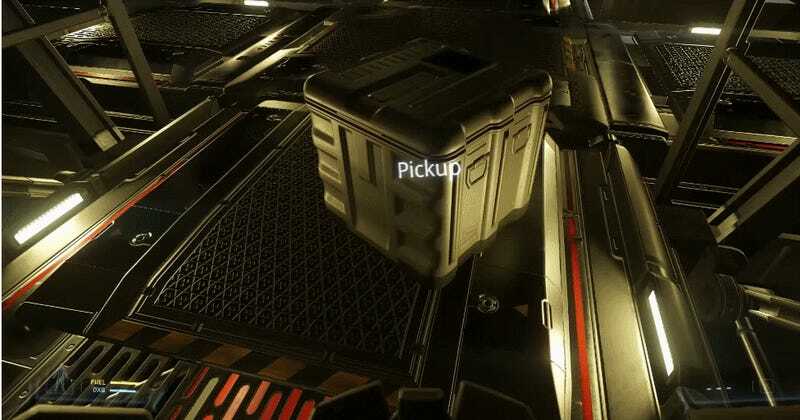 An extensive Production Schedule Report released by Robert Space Industries lists the rest of the new features expected to arrive as part of 3.0 in some detail, as well as the timeline for everything going forward. Of course, it comes with few caveats, including that the schedule only consists of estimates, is potentially not conservative enough, and might be delayed if the team isn’t satisfied with how a particular feature is coming along. For instance, an inventory support system that will help players manage the cargo on their ships is estimated to be completed by June 1. And indeed, the video released in conjunction with the production schedule spends a lot of time talking about cargo. If the 20 minute video convinces you of at least one thing, it will be this: cargo is complicated. Especially in a game as complicated as Star Citizen, which creator Chris Roberts believes might me the most ambitious game ever created. This is both the magic of Star Citizen and its curse. As the game is slowly cobbled together for players to experience in real-time, the process can feel both arduous and overwhelming. But it’s also in the service of a “seamless” space exploration game that could make good on the promise of something like No Man’s Sky and add depth to an experience like Elite: Dangerous. The crowdfunded project has raised over $146 million to-date, and despite its fair share of delays, the single-player campaign was due out last year, the leviathan of a space-sim seems to be creeping along at a not entirely petty pace. Updates 3.1 and 3.2, expected later this year, will introduce even more planetary exploration, including underwater caves, as well as the ability to apparently drown in those caves. Stretch goals remain redacted, but it’s possible full-animated CPR could be among them.